Cisco’s IOT Systems Business is staffing its Global Business Development team to drive the business growth for its Product Portfolio. IOT is one of the four growth areas for Cisco and we are looking forward to staffing Business Development Managers. IoT Systems Global Business Development Team is part of IOT Systems BU and will be chartered with driving the growth of Cisco’s IoT Systems Portfolio (Industrial Switching, Industrial Routing, Industrial Wireless, Industrial Security, and Management). BDM’s will report into Sr. Director, Global Business Development, IOT Systems and will manage local GEO’s and will also have influence globally. IoT is one of the four growth areas for Cisco and the individuals have the chance to influence the business direction. -Bachelor's degree in Engineering/Science minimum. 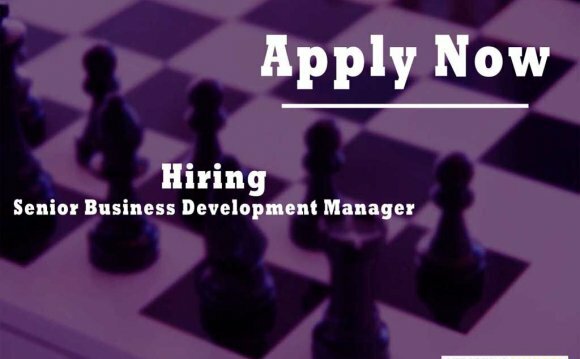 Must have at least 10-15 years of Business Development experience, with extensive experience in Sales Enablement, Channel Enablement, Pipeline Management, Forecasting, Sales Collateral development in Information Communication Technology (ICT) area. Industrial Networking/IoT Experience will be a plus. -Self-starter with demonstrated ability to adapt to changes in plans and strategies with only general guidance. -Excellent verbal, written, slide generation and presentation skills are absolutely required.